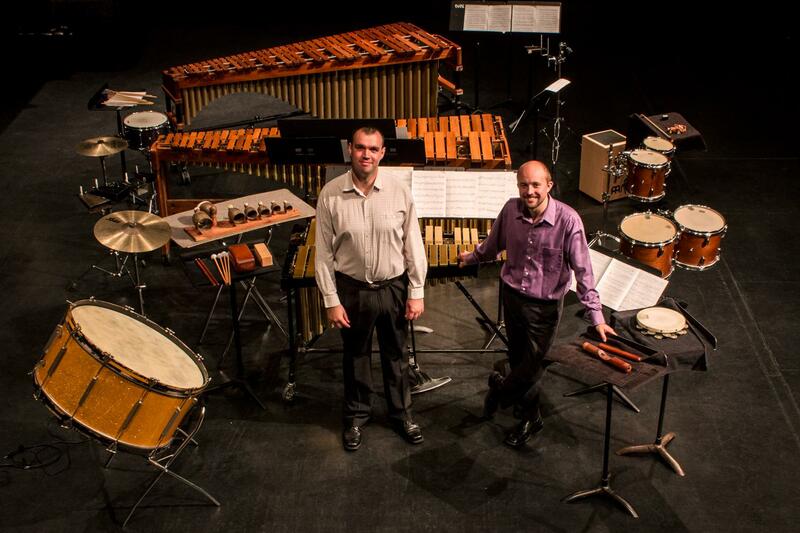 Gabor Palotas and Matthew Andreini commissioned 3 Iowan and 3 Hungarian composers to write music for the “Iowa / Hungary Percussion Project”. In June they completed a Hungarian tour and for one week in September they are performing the new music in Iowa. 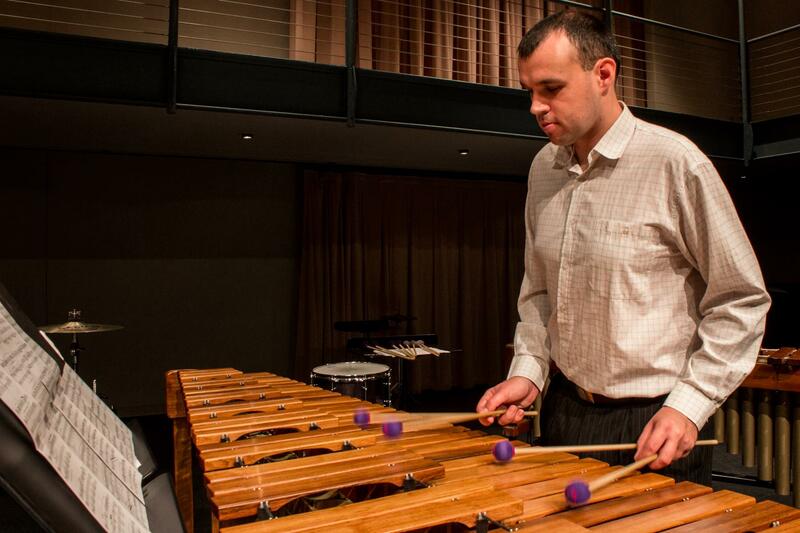 Gabor Palotas performs music from the “Iowa / Hungary Percussion Project” in Cedar Falls. Palotas is a percussion instructor for primary school students in Kecskemet, Hungary. Gabor says performance of modern classical music in his country is rare. 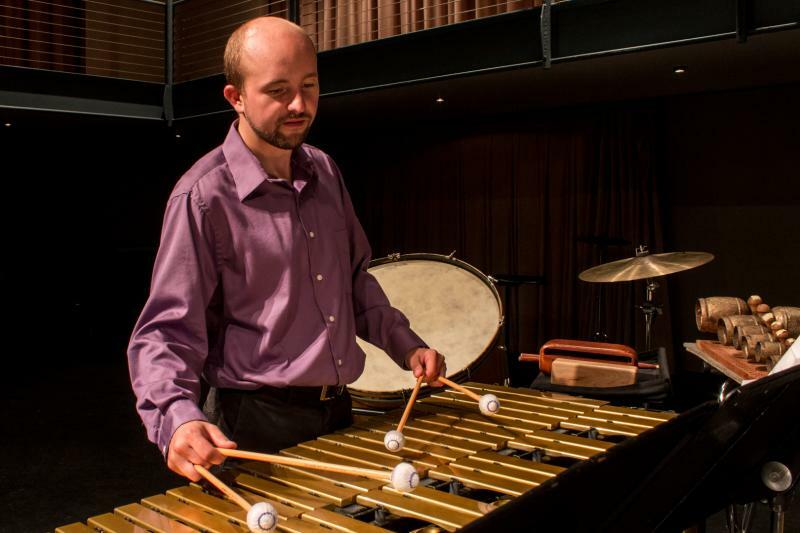 Matthew Andreini performs music from the “Iowa / Hungary Percussion Project” in Cedar Falls. Andreni says modern music helps classical music students form a better connection with their instrument. Andreni is a percussion instructor at UNI. Last week a performance combining the musical culture of Hungary and Iowa made its American debut in Cedar Falls. It was organized by two recent music school graduates specializing in the performance of contemporary percussion music. Today they will share these new works with more Iowans as their short tour across the state resumes.